We are so eager to tell you all about our Joovy Balloon Stroller Review because we are such huge fans of the brand. I’ve written before about the amazing line of baby gear from Joovy but with their newest stroller, the Balloon, the brand may just have outdone themselves! After 18 months of testing strollers with my little guy, I have a short list of “must have” stroller features and the Joovy Balloon checks all the boxes. This stroller is the ultimate hybrid stroller, it’s astoundingly lightweight and folds with the ease of an umbrella stroller yet magically has all of the features and flexibility of a full-size stroller making it truly the best of both worlds. Here’s a breakdown of why the Joovy Balloon Stroller is the new must-have stroller you can’t live without. LIGHTWEIGHT. 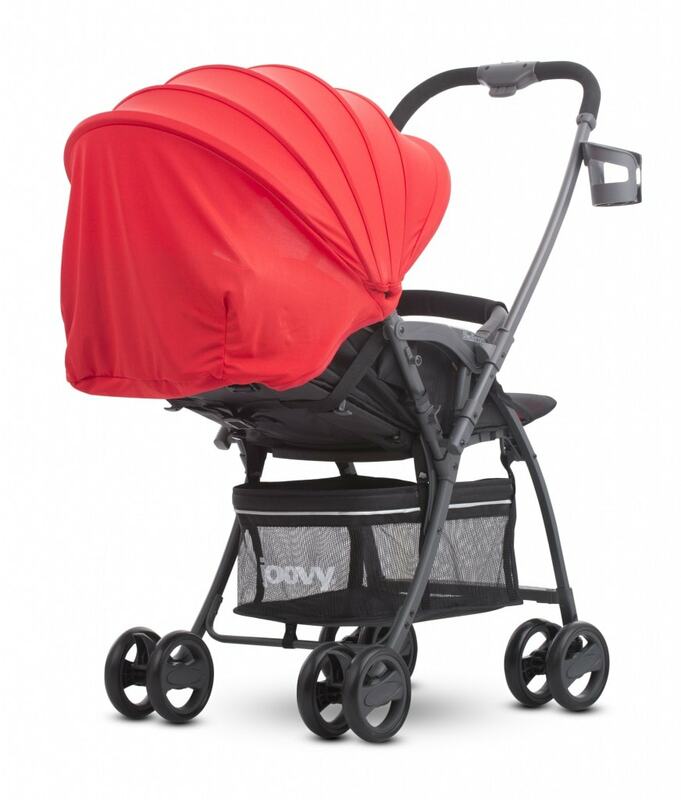 The Joovy Balloon only weighs 12.7 pounds making it lighter than even some umbrella strollers. I knew before receiving the Balloon that one of its keynote features was how light it was but I was still blown away to see a full-sized stroller that I could literally toss over my shoulder like it was nothing while chasing after an excited toddler. ONE HANDED FOLD. The one-handed fold on the Joovy Balloon stroller could not be easier to use and makes collapsing a stroller while holding a baby unbelievably easy. Even better, once folded the Balloon stands up on it’s own making storage so much easier and keeping the stroller cleaner by keeping it off the floor. HUGE SUN CANOPY. I am crazy about the canopy on the Balloon because the oversized canopy and great accordion design means it’s easy to adjust the sunshade to exactly the coverage I need no matter what the position the seat is in or how sunny the day. However the oversized canopy is more than just a pretty face, it also has SPF 50 protection for long walks on sunny summer days and is an essential feature for trips to the beach. AMAZING DESIGN FEATURES. The Joovy Balloon Stroller review wouldn’t be complete without talking about the fact that this tool was definitely designed with parents in mind and has a ton of features to make parents’ lives easier. I love the multi-positional reclining seat that makes naps on the go a snap and the reversible handle flips the stroller from front facing to rear facing without having to move the seat around making it easy to constantly adjust the stroller to my little guy’s needs without going through the hassle of unbuckling him from the harness. Add to that a great sized basket that easily accessible no matter the position of the seat and your errands and adventures just got a whole lot easier! CONVERTS TO A TRAVEL SYSTEM. Another fantastic feature is that it quickly and simply converts to a travel system by attaching to most infant car seats. 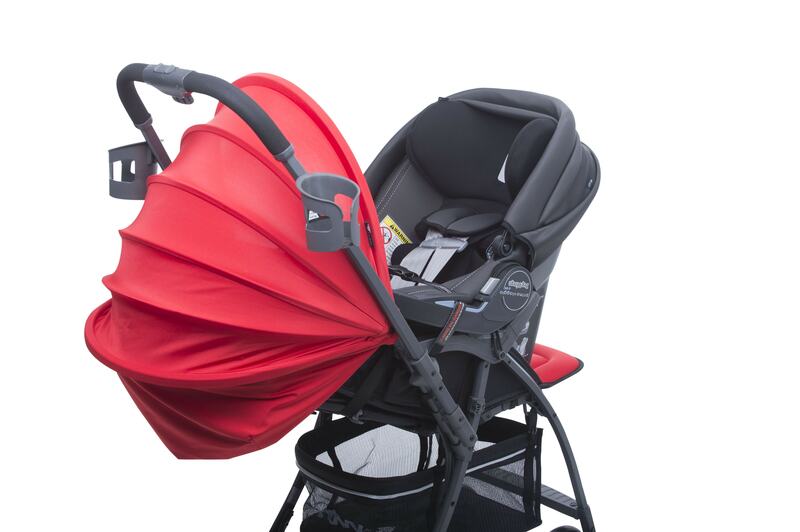 This is an amazing feature because instead of purchasing a second frame stroller to attach your car seat to, you can buy one amazing stroller and easily travel and have the flexibility of having both a traditional stroller and a car seat stroller with you all in one pretty package. Even better, the universal car seat adaptor comes with the Balloon so there’s no additional pieces to buy. The stroller is designed to be used from birth to 45 pounds making truly the only stroller you will need as your little one grows into a not-so-little one. And when the brand says from birth, they mean it: the Balloon quickly adapts to a bassinet-mode with attached pieces that store in a hidden pocket under the seat when not in use. Perhaps the most amazing feature is the price. 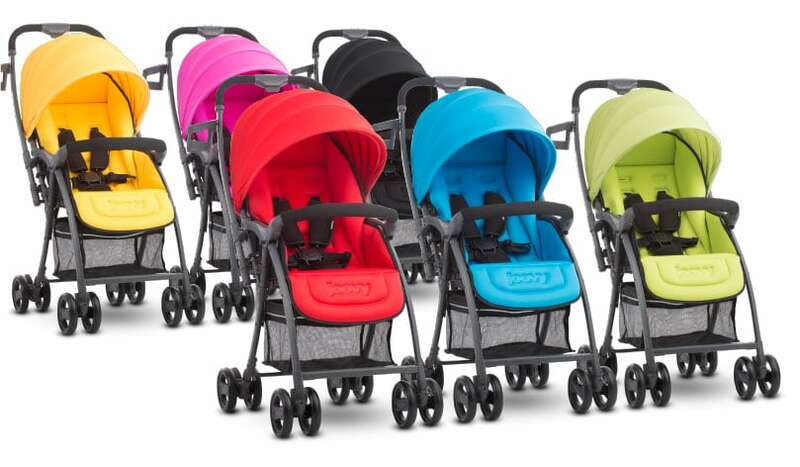 Coming in six gorgeous colors, and retailing for an amazing $199 it truly is the perfect stroller and a must-have on every mom’s baby gear wish list. Visit Joovy online to purchase your own lighter-than-air Joovy Balloon or learn more about this and other great Joovy products on Facebook, Twitter, Instagram and Pinterest.